I'm so excited Veronica is here!! This is the Franklin Covey Veronica binder in Compact size, Latte color. I bought this from skhen who bought it in the recent FC sale but didn't like the stripey effect on the cover (which is a variation of the natural leather). She intended to return it but I'm not bothered by the stripes at all so I offered to buy it from her. She kindly agreed and shipped it to me super fast! Thanks so much skhen! She even included cool stickers! Love! I always like it when my binder looks good with my phone. Don't they look great together?? Ok, let's get down to some serious details. Last time I told you about my FC reboot I was using my Filofax personal Aston binder (which you can read the details of here). Below you can see the state of it with the FC 2 pages per day inserts sticking out the side. Also, I recently started using the FC Expenses envelopes, which stick even farther out. I have three months of FC 2PPD in here, and 12 months of month on 2 pages as well as lots of Filofax pages (contacts, info, etc.). I want to put more pages in, but this binder is at capacity. I did what I indelicately call a "total guts transfer" and took all the pages out of my Aston and put them directly into the FC Veronica. The Veronica has 1.125 inch rings (1 1/8 inch). Zoe also has the Veronica, and she advised me that the Veronica doesn't hold many more pages than the Aston, but holds them much more comfortably. In the comparison photos below you can see what that means. In the photos below, the exact same pages are in the Aston and the Veronica. You can see the Veronica is not filled to bursting, unlike the Aston. Something to notice though, is that the Aston's cover is very flexible and can bend around the pages, allowing the binder to be stuffed full and the pages to go all the way around the rings. The FC binder cover is more stiff and the covers do not bend around the pages, so the capacity is limited by the size of the rings. I do not use the page lifters in the FC binder so I can fit in more pages. Below is a closeup of the rings with the exact same pages in the Aston as in the Veronica. You can see how the pages go all the way around the rings in the Aston (top) but not in the Veronica (bottom). So the Veronica does have the capacity to hold more pages than the Aston, but can't be overstuffed due to the stiffness of the covers. I put an equivalent number and type of pages (mix of FC and Filofax) into the Aston and the Veronica to get some side by side photos. Here you can really see what Zoe means that the Veronica hold the pages more comfortably. The pages stick out of the Aston binder but not the FC. Here you can see how stuffed the Aston is compared to the Veronica. Something else to notice is the Veronica's cover is puffy and thicker than the Aston's, making the binder bulkier overall. The additional width also adds significantly to the size of the binder. Just for thoroughness I did the same experiment with my Malden to see how its capacity compares to the FC Veronica. Again, the pages stick out pretty far from the side of the Malden but are completely contained by the Veronica. Below you can see how the covers of the Malden curve around the pages, allowing it to be overstuffed. The pages go all the way around the rings in the Malden but not in the Veronica. So if you are choosing between a personal Filofax or a Franklin Covey compact, be aware that the Filofax will hold the FC Compact pages but they will stick out and may overstuff your Filofax binder, which risks the ring mechanism breaking. Below you can see the Expenses envelope I was talking about earlier. I really like these because we are doing a lot of DIY on our house so I have to keep receipts for supplies in case I need to return anything. I was losing receipts and forgetting where I put them, so this envelope holds them all in one place. Below you can see the difference in width of the FC expenses envelope at the left and the Filofax Personal size pages at the right. I'm not bothered by the different page sizes in the binder. Below you can see the 2 Pages Per Day layout in the binder. These are the Seasons inserts, which I really like. Clipped in the pen loop you can see my new pen of choice, the Uni-ball Signo which has really dark ink so my writing is easy to see on the page. Something I didn't expect is that the rings themselves are fatter in the FC than in the Filofax, so Filofax pages (which have smaller punched holes) are harder to turn in the FC binder. I tried to get a photo showing the thickness of the rings, Filofax on top and FC on bottom but I don't know if you can tell. I haven't taken this binder out and about with me in my bag yet (been snowed in at home with two sick kiddos) but I wonder how the extra bulk of the cover will feel in my bag compared to my Aston. I love the Veronica binder! The leather feels so soft, and it's pretty in a professional way so it would be appropriate at work and out and about. Meanwhile I have another FC binder on its way to me, a tan leather binder with 1 3/8 inch rings I ordered from ebay. I'm curious how the larger rings will be. Will I love the additional capacity? Or will the binder be too big and bulky to carry everywhere? I'm using the 2 pages per day and info pages in my binder in conjunction with my weekly + monthly Plannerisms planner where I write all my goals, schedules and weekly task lists. I'll do a separate post with details on what I write in which book. Basically, Plannerisms is for all forward planning and the FC daily pages are for recording. 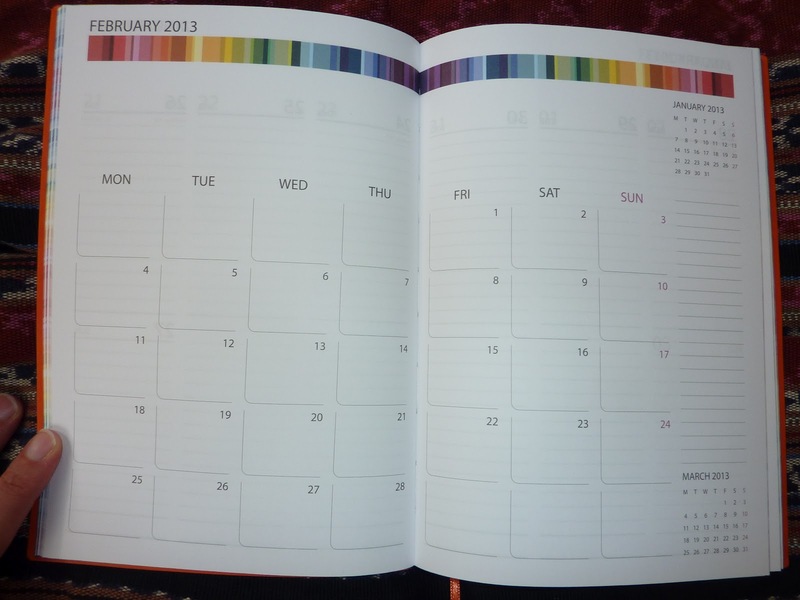 Worldwide giveaway: Daycraft Signature Chromatic 2013 weekly planner! There are also monthly calendars, and loads of other features. 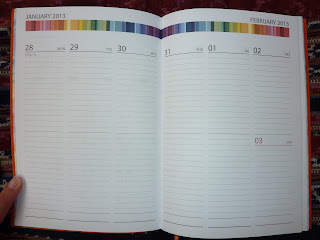 I reviewed this Signature Chromatic 2013 weekly planner, click here to see loads of photos of the features of this planner. Here's how to win this planner! 1. There is only this one planner to win. I will send it to anyone, anywhere in the world. 2. To enter, post a comment on this post. Your comment is your entry, only one entry per person. 3. Entries close Wednesday January 23 at 6 pm London time. 4. The winner will be announced here on Plannerisms Thursday January 24. Please check Thursday to see if you've won! 5. The winner will email me so I can send them their planner. If I don't receive an email from the winner by January 31 I will choose a new winner. In case you were wondering why you feel so blah today, the reason is because today is Blue Monday. For those of you unfamiliar with the day, somebody calculated that today is the most depressing day of the year: the holidays are over, the holiday bills are rolling in, winter is full-on with no end anytime soon, the days are short, and you don't have any vacations imminent. If all this is making you feel all ugh, blah or meh, read on! 1. Cut yourself some slack. Be kind to yourself and don't expect full-on super-productivity today. Have a cup of your favorite warm beverage. Look over your schedule and tasks and prioritize only what absolutely must be done today. If you do more than the minimum today, that's gravy. Otherwise, allow yourself a slower-than-usual day. 2. Plan something fun to look forward to. Part of what makes today so depressing is that last month you had tons of plans and fun things to do, and now the fun train has ground to a halt. The solution is to plan things that you can look forward to. If you can afford some time away in a fun destination, that's great. Book it. But if like most of us you're feeling the financial pinch (more on that in a mo) plan some low-budget fun. Go see a film with friends, or for an even lower-budget option invite friends over for a film and snacks. Throw a low-key potluck dinner party. Go for a hike in the snow. Phone someone you haven't spoken to in awhile (FB messaging doesn't count) and have a good chat. Whatever you plan, make it easy and enjoyable. 4. Get ahold of your finances. Part of the stress of today is seeing those bills roll in and wondering how you're going to pay for it all. Don't stress, take control! Gather up those bills due, review your budget, and own it. When you have a plan and know how you'll pay your bills, you won't worry and you'll feel in control. If however you discover you won't be able to cover your debts, now is the time to discuss your options with lenders. No matter what, you'll feel empowered knowing the state of your finances. 5. Revisit your New Year's Resolutions/ Goals. Remember those? You had good intentions at the beginning of the year to make positive changes in your life. Don't give up, just have a re-evaluation on what you can do to implement your goals into your life. I wrote a post on working your goals into your schedule a couple of weeks ago, you can click here to read it for ideas on reviving your goals. How are you coping with Blue Monday today? 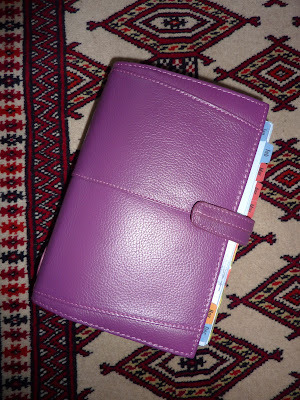 Many thanks to Jotje for this mini guest post on how she is using her Plannerisms planner!! 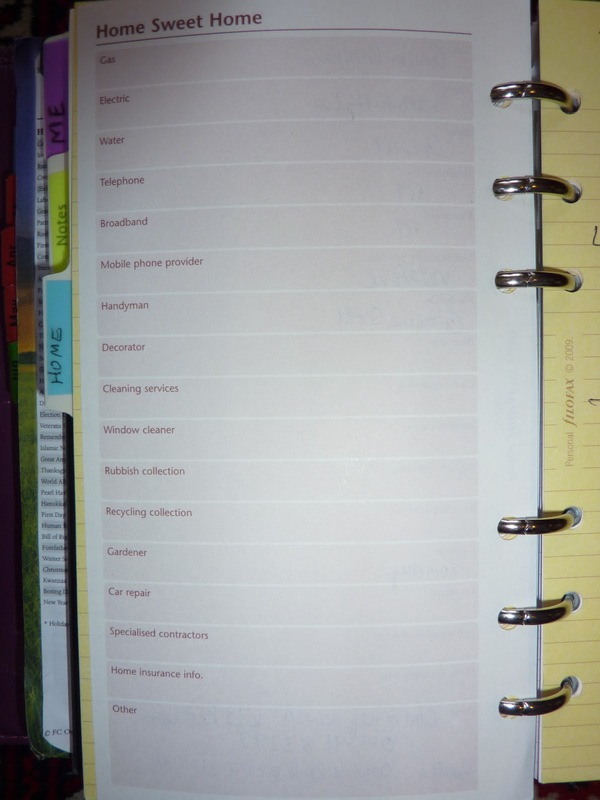 So how do I use the going places planner to track my daily chores and habits? Here's how! Then I only need to check the appropriate lines on the days to keep track. Below the daily columns I have check lists. Chores (in the specific zone) that I either planned beforehand, or that I record after I did them, so that I can plan my chores for next week accordingly. On my year goal pages I have a master list with all the household related projects for 2013, which then get broken down in quarterly and monthly steps. So far so good! I love using this planner: the paper quality is awesome and the cover is soooooo pretty! Yes you read that right, despite loving my self-dated day per page planner in my beautiful Paperblanks journal, I'm giving my Franklin Covey two pages per day (2PPD) another go. Why, you ask? Well of course I have my reasons! First a recap: I first tried the Franklin Covey 2PPD back in September, which you can read about here. I loved the format and the writing space, but it quickly failed because I wasn't using it in conjunction with a weekly planner (which I absolutely must do! No wonder it failed.). In November I realized the cause of the previous fail and tried the 2PPD again, this time in my new Malden, which you can read about here. But after awhile the impermanence of the looseleaf pages really bothered me and I didn't trust myself to archive properly without losing pages, so I went back to a bound daily book. 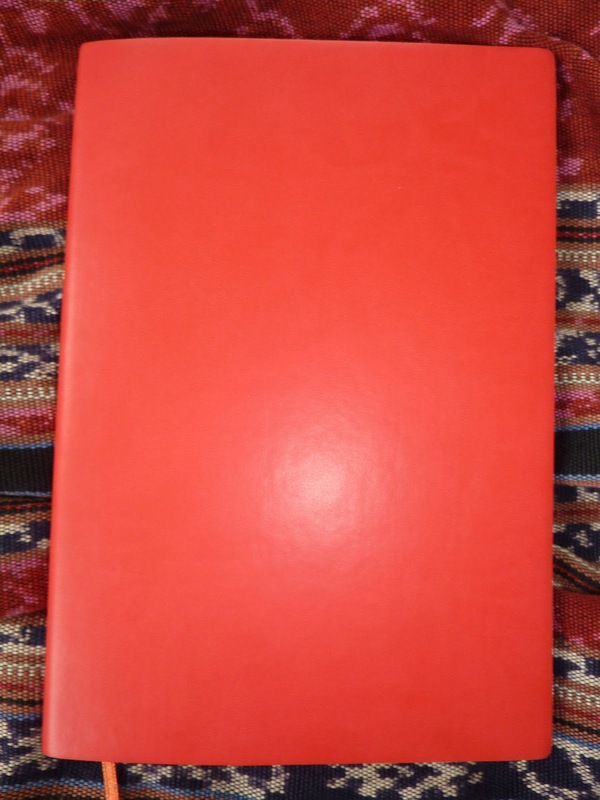 Then a couple of days ago I was inspired yet again by Patty at Homemaker's Daily, with her excellent post on how she's been using her Franklin Covey binder to track her finances for the past 10 + years. 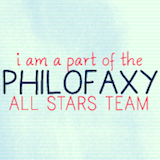 Patty has achieved a level of funtionality and permanence with her FC that I can only dream of! I was previously inspired by her post on how she diligently archives her pages, which you can see here. Also I discovered I needed more to my daily book than just the daily pages. I needed a place for categorized lists, timelines (lists of things that need to happen in chronological order) and other info. So back to my Filofax and 2PPD I went! Here's the 2PPD setup, this is the Franklin Covey Seasons insert, I like the seasonally-changing images. I have this in my Aston (orchid color) now, I like how the winter pages look with the cool dark mauve cover. The tabs stick out the side of the binder but not hideously. I'm in the process of buying skhen's Veronica Franklin Covey binder (Latte color, Compact size) with bigger rings, so these pages will fit much better in that. Below you can see my tabs setup. Me is for quotes I like, health and diet stuff, and anything else relating only to me. Notes is where I write quick notes because there's no note pad in the back. Home is a brand new tab for me, more on that below. Info is where I keep my maps and travel info. The blank yellow tab is for anything else. Currently it's containing my work-in-progress Philofaxy 30 days of lists for March! Cleaning schedule, shopping list for the DIY store, etc. On the back side of that page (which I'm still adding to) is a list of monthly cleaning and monthly tasks (like uploading the month's photos and filling in my Monthly Index page). It's very handy to have those numbers in front of me! They are in my phone too, but nice to have in a list for easy reference. In the back I have A-Z tabs, and a couple of business card holders which I find very handy for popping those cards into. Even with 3 months of 2PPD and all those tabbed sections, it's not a crazy thickness. I have to admit though, I'm looking forward to the larger-ringed and wider FC binder coming my way! So that's the current daily setup! Of course I am still using my weekly Plannerisms planner for all forward planning, goals etc. I'm going into my third year now of using a weekly planner for planning and a daily planner for recording. This system works so well for me! 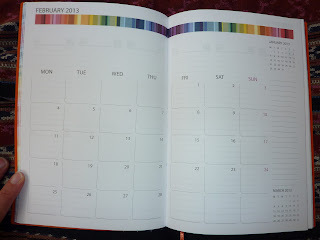 Your 2013 planner: Planner Fail or So Far So Good? Now that we're at the end of the first real week back to post-holiday reality, how's your 2013 planner working for you? Well? Not so well? I've heard from several people lately that they're experiencing Planner Fail or are even in a Planner Quagmire. Some are calling the dog, and some are flat-out floundering. Another option for a larger page size but more compact book is to use an Arc, Circa or Levenger disc bound system. You get the same page size as a Filofax A5 but in a slimmer binding system. I've tried a disc bound book before and didn't like it because I didn't feel secure about the page edge tabs staying in the discs, especially after heavy use and lots of page-turning, but there are a lot of people who love these systems. Zoe has a great post right now comparing a Circa with a Franklin Covey compact size binder (click here to see the post). Much bigger page size in a similarly-sized book! Here's an inspiring post for you from Patty at Homemaker's Daily about a long-term Planner Success, specifically on how she has used her Franklin Covey binder to track her personal and business expenses for the past 10 years! Click here to see her post for some serious financial inspiration. (I figure we can all use some financial inspiration this time of year!) I love Patty's FC posts, I can only aspire to that level of planner fidelity!! So what about you? Is your planner system working well for you so far? Does it need some tweaks? Or have you realized what you're using isn't working for you this year and you're in need of a total planner overhaul? If so, please share! Collectively I'm sure we can come up with some ideas to get you back on track to Planner Nirvana! This is the week that makes or breaks most people's New Year's Resolutions. All your good intentions on January 1st could go up in smoke as the rubber hits the road with work and school obligations back in your daily schedule. The only way you're going to actually achieve those goals you've set is if you find time in your days to do your goal-related tasks. This of course is easier said than done because most of us are already busy to begin with. Finding time for more tasks is a trick. The good news is, thought and planning are all you need to fit in your goal tasks. Let's get started! First of all, if you need some help setting your goals, click here for my helpful posts on setting your goals and what it takes to reach them. Especially look at my post on using the Plannerisms planner for goal setting, because it explains how to break your goals down from Annual goals to Monthly goals and down to weekly and daily tasks. You need to get your big-picture ideas down to actionable-today tasks. Next, you need to figure out the best time to fit in exercise, reading, crafting, working on your e-book, revising your finances or whatever goals you've set. Check out Charlie Gilkey's Productivity Heatmap to find out what times of the day you function best for concentrated work, and what times you need to do less-concentrated work. Now that you know when your highest functioning times are, decide which goal-related tasks you can do when. This requires an understanding of how long it takes you to do things. If you want make sure you have a clear idea of how long it takes you to do tasks, I recommend keeping a log of what you do each day and how long it took you. Most people are surprised that what they thought would take them about 15 minutes actually takes about an hour. Or they discover that the task they thought they were ready to do actually required other tasks first. You might want to read my post Goal, Resolution, Project,Task to help you break your goals down into ready-for-action tasks. So now that you know what tasks need to be done, how long it will take you to do them, and what times of day you can best function to accomplish them, you're ready to start plugging tasks into your schedule! Remember, any time you add new things to your schedule, you'll have to remove or reschedule whatever you normally do at that time. For example, if you want to exercise more, you'll have to remove the sleep/ computer/ tv or whatever you normally do at your chosen exercise time. If you want to be more social, you'll be spending less time at home so adjust your schedule accordingly. If you want to write or read more, choose your time (early in the morning before everyone gets up, weekends, evenings) and clear some time for your chosen tasks. If at the end of the week you don't have as many daily goals accomplished as you'd hoped, you may need to re-evaluate which times you've chosen to do them. If your morning or evening is already manic, you're not likely to fit in another task so don't beat yourself up about it. Go back to the planning stage and choose a different timeslot to fit in your goal tasks. Don't give up on your goals! You can fit them in, even with an already-busy schedule. All it takes is planning. Schedule your goal tasks into your day, make sure you have adequate time to complete them, and do them at a time of day when you have the energy to focus on them. Follow this plan and you will reach your goals step by step! I'm working on the 2013-2014 academic year Plannerisms planners, but I'm not sure when they should begin and end because school years vary so much by country. In the US, the majority of schools start in August sometime, and usually end late May or early June. But I have a friend in Hawaii whose kids started school late July. Here in Scotland, school starts in August like in the US but doesn't finish until the first week of July. In England, school doesn't start until September. Universities vary even more. In the US, classes usually start late August or early September and finish in early May. But I've heard of universities here in the UK where classes don't begin until October. I would prefer not to do an 18 month planner because that would add to the cost of the book and I want to try to keep the cost down for everyone. But 13 or even 14 months would be very doable. Personally I'm really looking forward to using the academic-year Plannerisms planner because even though I'm not a student myself, it helps me a lot to be able to plan my kids' entire school year in one book. So in an effort to cover as much of everybody's academic year as possible, I need your input! I'm thinking of having the 2013-2014 planner start in July 2013 and go through to the end of August 2014. Would that encompass your entire school year? If not, what beginning/ ending months would be better for you? Please leave a comment and/ or vote in the poll in the sidebar! Thanks for your input everyone! How The Perpetual Student is using her Plannerisms planner! The Perpetual Student has done a wonderful post on how she is using her Plannerisms planner! She has great photos on how she has customized the pages to suit her needs. Click here to see her excellent post!